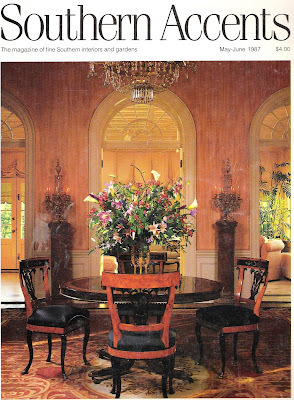 Southern Chateau: What Makes a Room Timeless? What Makes a Room Timeless? What realy makes a room timeless? A better question could be ; how do we avoid those awful mistakes that make us look back twenty years later and think "What were we thinking?"! This is the million dollar question in the design world; how can we create rooms that trenscend time and trends and remain beautiful and easy to live in year after year? This dining room has survived fairly well. 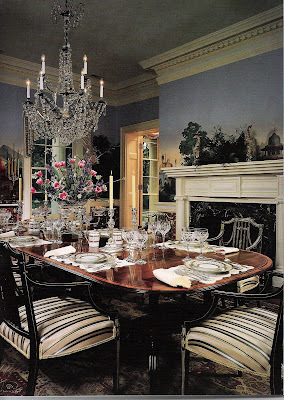 A little stiff, but Zuber wallpaper and classic furniture never really go out of vogue. If I came in today to update this room, the wallpaper would stay, but I would change out the chandelier to one less "period" looking, get rid of the patterned rug and replace with a lightly stencilled jute or seagrass one, and get of the chairs that are also too period design looking and get some with either a painted finish or slipcover them. 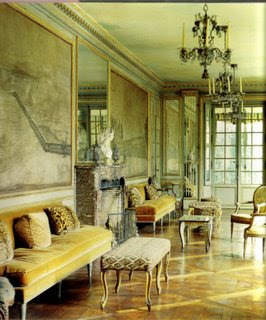 This is a beautiful parlor in an historic home in the Garden District of New Orleans. 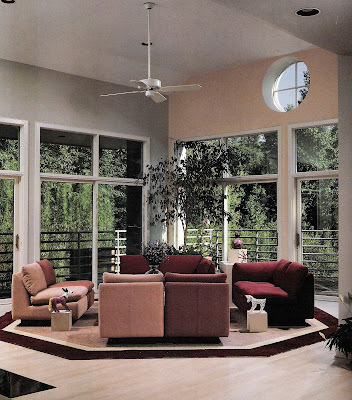 This room would be as perfect and beautiful today as it was in 1989. Beautifully proportioned ceilings, elegant mouldings, a non-trendy paint color, and classic furnishings mixed with contemporary art. 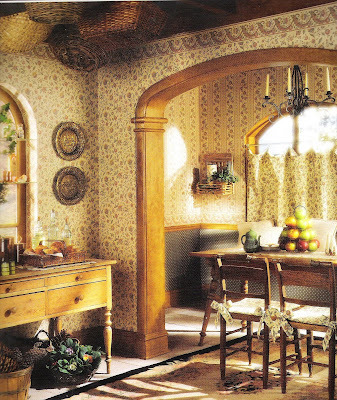 This could have been a dull "period" room, but with all these ingredients the look would still be current. Ah yes, we remember burgundy and mauve. Perched on what looks like a sculptured carpet area rug with a cutting-edge ceiling fan above. I doubt this room still exists. A room that still looks good. Just get rid of the overblown baby's breath floral arrangement, lighten up the room with less dark wood furniture and patterned rug. Sometimes the ads are the best indicators of where our heads were at the time. 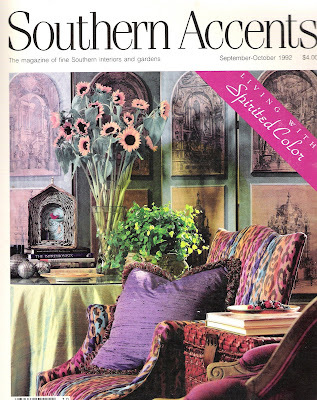 This wallpaper ad shows the riot of patterns that became the rage; borders, florals, stripes, and coordinating fabric. Wallpaper overdose. Which is why the very word now strikes terror in so many hearts today. I guess if we can learn anything from this exercise, it is that classics endure and can be freshened as time goes by. Jumping on trends with too much fervor usually spells trouble and costs lots of money to undo. Thanks for your comment, Deborah! 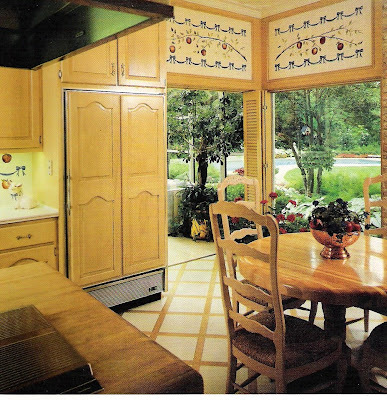 Kitchens are the biggest challenge to keep current I think. 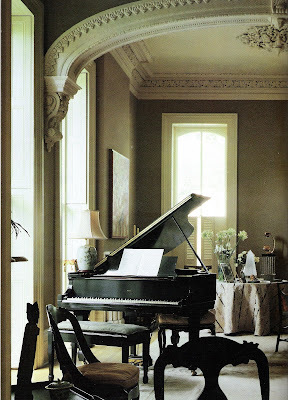 I think Elsie de Wolfe's room, and the room from New Orleans have fared the best. Of course, the beautiful architecture helps quite a bit! Great points, great post. I should keep a copy of this and forward it to clients when they say they think their kitchen is good and doesn't need updating! I thoroughly enjoyed reading this post! I do think it is fascinating seeing some of the great homes of New Orleans, and how timeless the style of decor is...I think it helps to have amazing architecture as the bones. 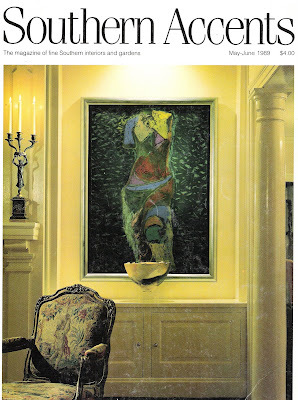 My husband's grandmother built a dream home in the mid-60s; she is widely traveled, and drew quite a bit of inspiration from the stately manors in the English countryside, as well as the beautiful manors of France. 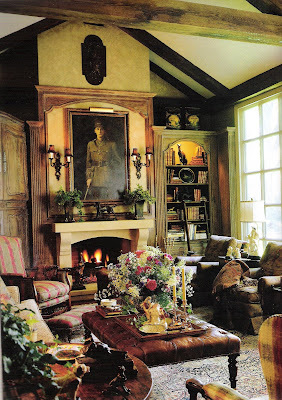 She went on frequent shopping trips to NYC and London with her decorator (and this was in the 60s), and the home is decorated in a classic French manor that seems timeless even today. In the 50+ years that she has lived there, she has changed very little. There are a few things here and there that should be updated - the rug in the living room, some of the sofa styles - but other than that, it is a lesson in classic and timeless decorating for me.